The clock has not yet struck midnight and there are a few more hours left to go in 2014, but we’re already looking ahead to design trends for the new year. As interior design trends don’t move as fast as fashion trends (thank goodness) some of the trends we’re mentioning this year we also mentioned last year. But there are a few new wrinkles in the mix which promise to make 2015 an interesting one in home design. 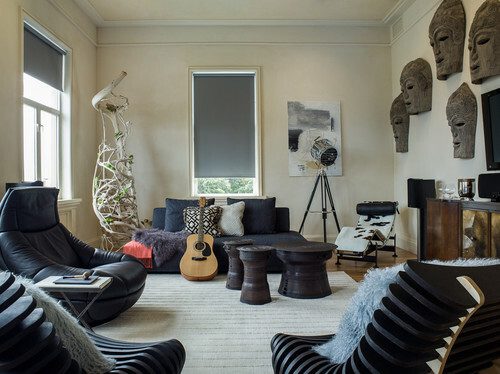 Here’s another living room boasting a melange of ethnic accessories. The all white backdrop helps to hold everything together. 2.) 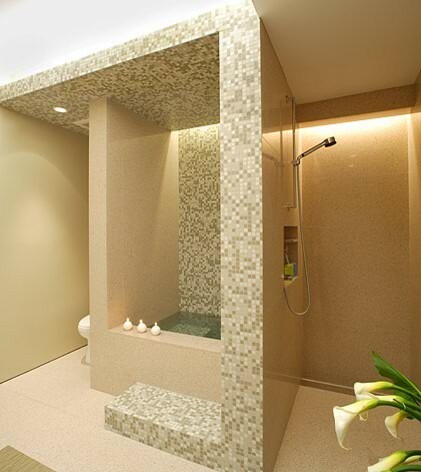 Soaking tubs instead of rain showers. Rain showers came into vogue several years ago. They looked stylish and different, but let’s face it, they were never comfortable to use unless you always like to get your head wet with every shower. 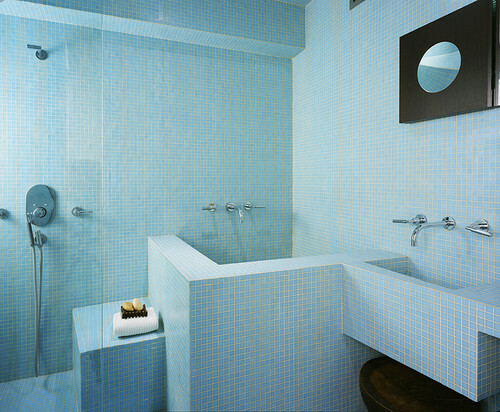 The trend now is to soaking tubs that are also a little more comfortable to use. The Japanese soaking tub below is extra deep and narrow in length. You can get your whole body in, without taking up so much floor space. 3) Undermounted leggy sinks in bathrooms. 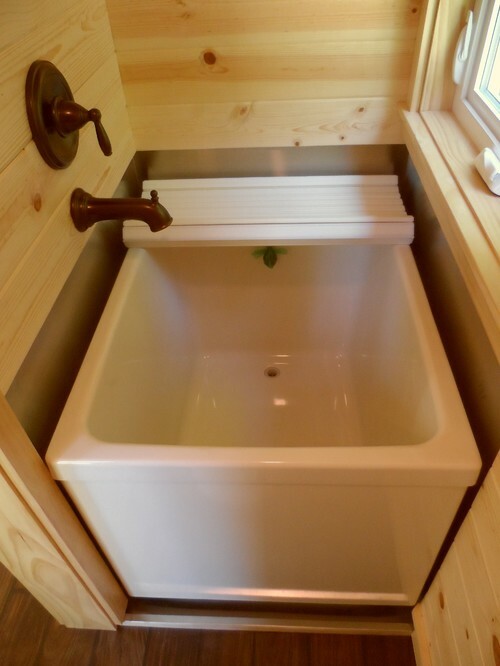 For a while, overmounted vessel sinks mounted on cabinet-style vanities were in. 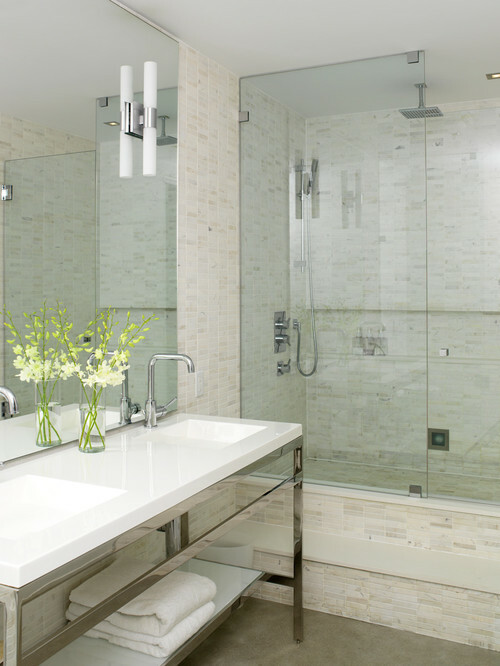 Now styles have shifted back to undermounted sinks with all the plumbing hardware exposed below. 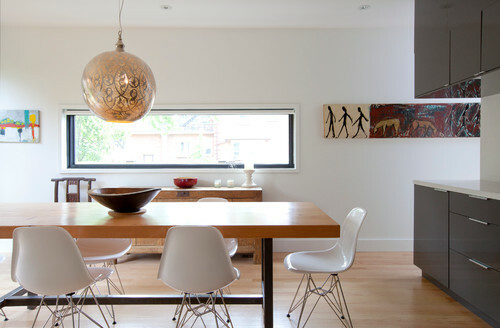 Sometimes these are outfitted with shelves, that allow for a storage area while retaining the feeling of openness. 4. Digital Art. 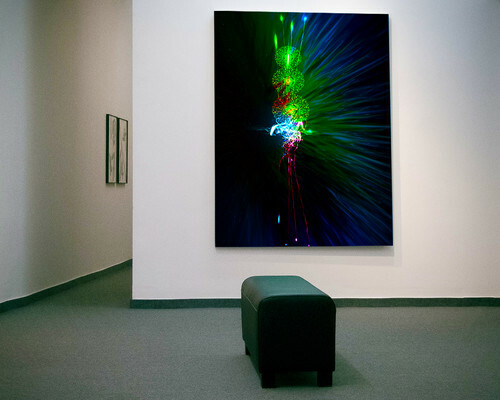 Digital art is an artistic work that uses digital technology as an essential part of the creative or presentation process. Since the 1970s, various names have been used to describe the process including computer art and multimedia art, and digital art. While painting and traditional photography are still going strong, nothing is more “of the moment” than computer art. 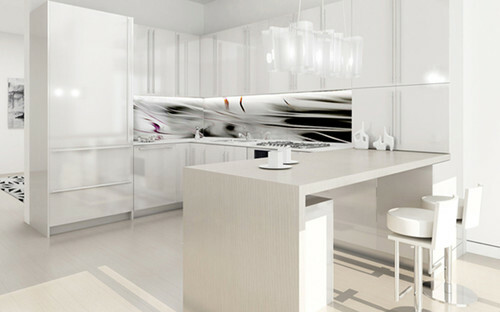 Below, a kitchen backsplash incorporates digital art. 5. Natural Elements. The use of natural materials in home decor never really goes out of style. Still, with more interest in environmentally sustainable materials and practices it seems more of us are also interested in bringing a little bit of nature to our homes. 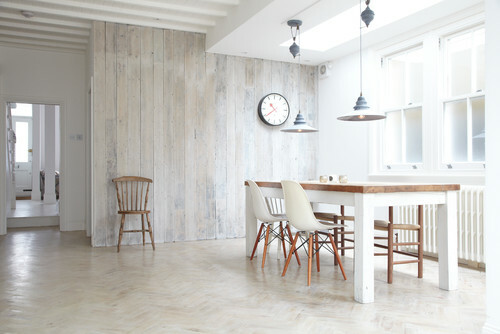 The most common way of doing this will be to incorporate the use of more wood into our homes. Blue as the new black. We’re talking a blue that is so deep it is almost black. And it will be used in the same way that black is, to create a sensual intimate vibe. The use of shiny metals contrasted against natural woods. Organic shapes. We’re talking bioforms in furniture shapes, from rounded, cellular lamp bases to rounded table bases and ovoid couches and chairs. What trends have you seen pop up in recent months? What do you think is going out of style? Share your thoughts! This entry was posted on Tuesday, December 30th, 2014 by preynolds and is filed under How To, Tips, & Advice. You can follow any responses to this entry through the RSS 2.0 feed. You can leave a comment.